What do you do when both of your babies are crying at the same time? 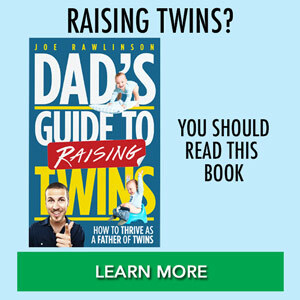 I wanted to share some tips from your fellow twin parents as well as what worked for us when our twins were little babies. It is OK to help each of your babies one at a time. If they’re both crying, they’re both needing something. It’s not the end of the world if you have to take care of one baby and then take care of the next. Learn to prioritize and triage which of your babies needs help the most. It could be the one that’s crying the loudest. It could be the one that you know needs the most attention. It could be the one that is closest to you. There are many ways to triage and prioritize taking care of your twins. 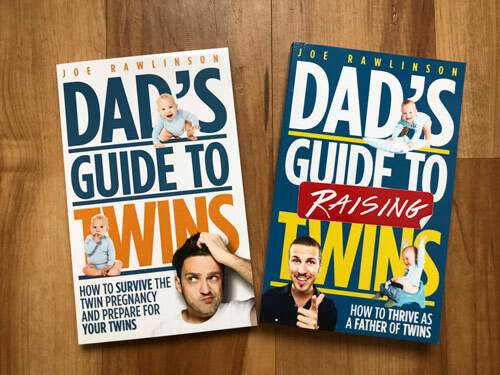 You may have a twin that is soothed very quickly so you take care of that baby first and then turn your attention to the other twin who may need a little more time to calm down. The mighty powerful distraction technique works on all ages of children. If they’re crying over something, you distract them. If they want to do something and you don’t want them to do that, distract them. If they’re fighting with their sibling, distract them. Distraction can always be the solution. 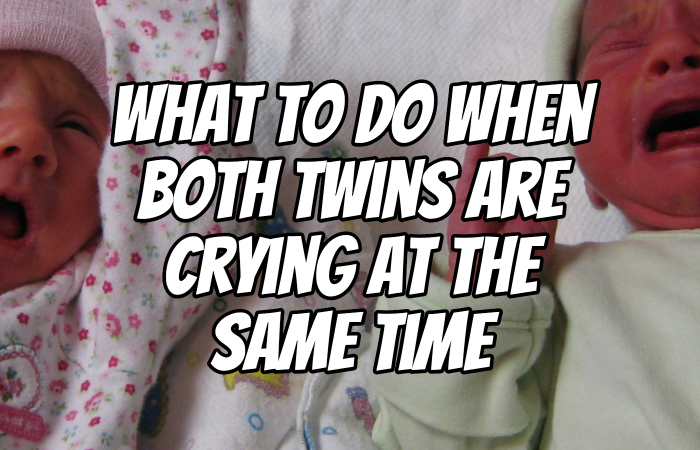 If your twins are crying, it may be possible to distract them from whatever they’re sad about. Focus them on something that would make them happy. It could be a change of venue. Move them from one room to another. It could be a change of toys or a change of scenery. It could be time to eat. It could be who’s playing with them; a sibling instead of Mom or Dad. Any of these changes could help reduce the amount of crying. It is perfectly fine to let your babies cry. Sometimes we want to just rush right in and solve the problem for our children. What happens is that when we do that every time, the children know to expect that. Thus they’re not able to self-soothe, to figure things out for themselves, to just calm down, or let the crying run its course. It is OK to let your babies cry, particularly when you’ve got two crying at the same time. One of them is going to keep crying when you’re taking care of the other child. That’s natural and is going to happen. Don’t beat yourself up about it. Don’t worry about it. It’s OK. Most times you’ll know why your babies are crying. Are they hungry? 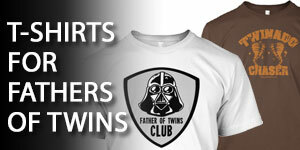 Maybe they need a diaper change. Maybe they’re sleepy. Maybe they’re too hot or too cold. You’ll know the reason for crying through observation or just knowing your children as the days and the weeks go on. If you’ve addressed all these common issues (not hungry, tired, dirty diaper), they may just need to cry it out for a little bit. And that’s OK! It is fine for your twins to cry. But it’s also key for your own sanity. If you’re constantly trying to figure out how to stop them from crying it’s an impossible task that will drive you crazy and wear you out. Remember: at times it’s OK to let your babies cry. We loved to swaddle our babies in receiving blankets and get them nice and cozy in a little baby burrito. This would oftentimes calm them down very quickly. Other times we’d put them in a bouncy seat, swing, or something that would give them some gentle rocking motion to help calm down. If you can swaddle both your twins and put them in a double football hold, it may just give them the help they need to relax and stop crying. 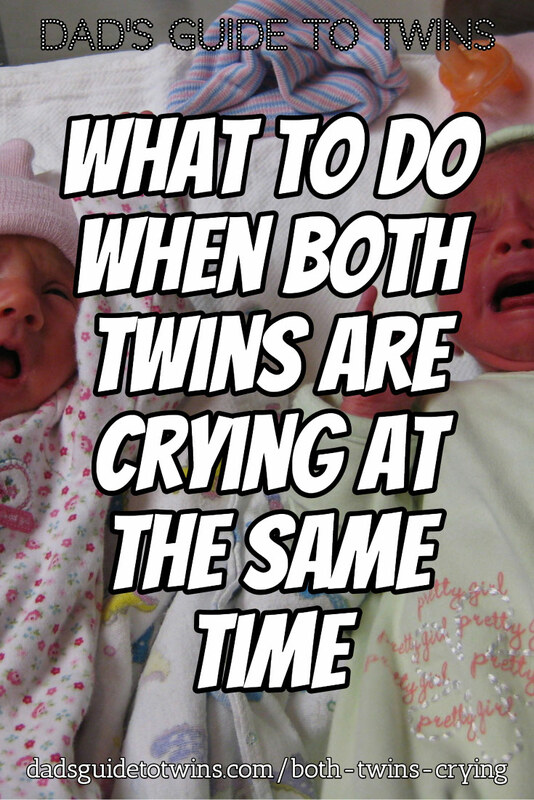 Here’s a big list of ways to soothe your twins. 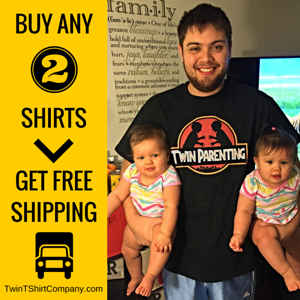 Use your twin baby gear to your advantage (especially when you are alone with your twins). You need all the help you can get. Use the bouncy seat, stroller, crib, baby-wearing sling, and all the gear you’ve stockpiled. This way you can hold one baby and have a machine soothing the other. 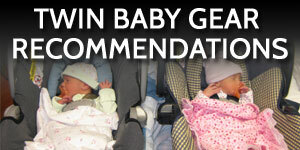 While the gear “babysits” one twin, you can change the diaper or feed the other baby. You’re not a bad parent if you put your kids in the bouncy seat or if you put them in a swing to help soothe them down. You’re not a bad parent if you can’t get the twins to calm down just by holding them. Remember to use your baby gear to your advantage and give you the extra set of hands and time you need to calm everyone down. Sometimes your babies they just want to be with you. They just want to be next to you. They feel secure, warm, and safe when they are right next to you. Baby cuddles are awesome. Right? However, getting excited about cuddling with your kids when they are screaming is difficult. However, a good cuddle may just be the medicine that your twins need. So don’t look past cuddles as a solution to your children’s woes. 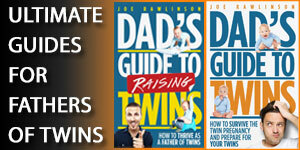 The next tip is very practical and comes from the real-life twin parenting trenches. Sometimes your babies cry for what seems like forever. This starts to get in your head and wears you down. I’ve talked with many parents who use earplugs. Yes, ear plugs like you’d wear when you’re using a chainsaw, doing yard work, or construction. These earplugs block out the sounds that you don’t want to hear. And let’s face, you don’t want to hear the crying. Baby screams can also produce some unhealthy decibel levels that physically hurt your ears. As such, it is perfectly fine to put in the earplugs when the crying gets out of hand. Maybe you’re taking turns with your spouse and you need to sleep at night. Put in earplugs! May your babies are screaming loudly and you can’t get them to calm down. Put in the earplugs! You can still keep an eye on them to make sure that they are fine. Put in earplugs and get an audio break. When the crying and screaming gets to be too much, it is OK for you to take a break. Put the babies in a safe location (like their cribs or a pack-n-play) and take a step out of the room. Take a deep breath. You can relax a little bit before you jump back in and try to take care of them. It’s OK for you to step away for a few moments when your babies are screaming their heads off and you’re not able to calm them down. Because otherwise, you’re going to run out of the energy you need to take care of those babies. When all else fails, it is absolutely OK for you just to sit down and cry with your babies. Just let it all out. Have a big cry party. When your babies are really small infants, you’re full of emotions from sleep deprivation, recovering from a c-section, or even postpartum depression. Just let out your emotions and cry with your babies because it is overwhelming at times. Use some of these tips we’ve talked about and it will make taking care of two crying babies a little bit easier. If you’ve had some success getting your babies to calm down when they’re both crying, share in the comments what worked for you. 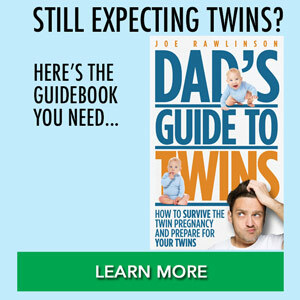 This way, your fellow twin parents can learn from what’s working in your home.